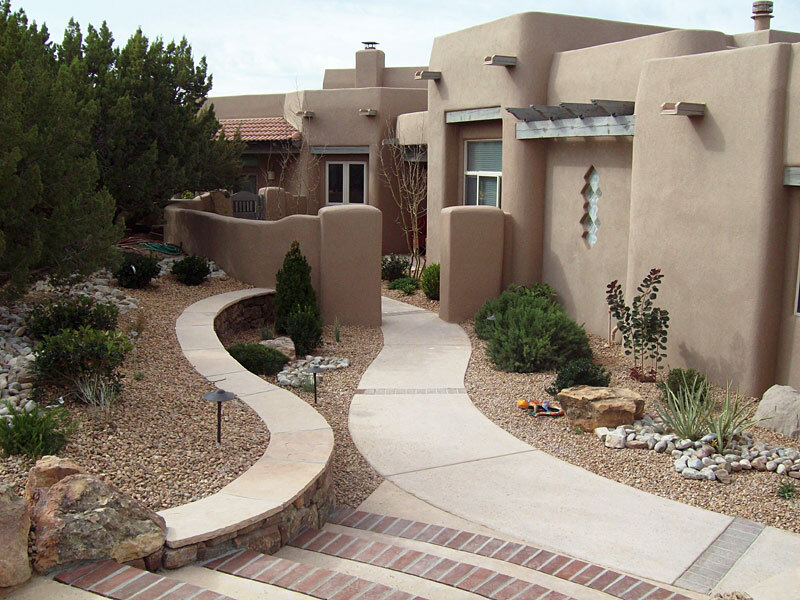 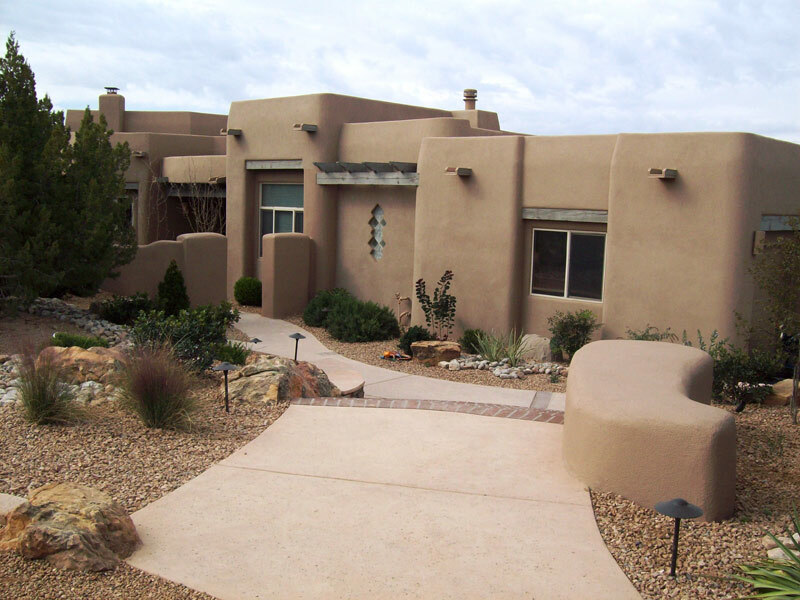 This Placitas landscape was redone to accommodate a new circular driveway (not an easy task on this sloping site). 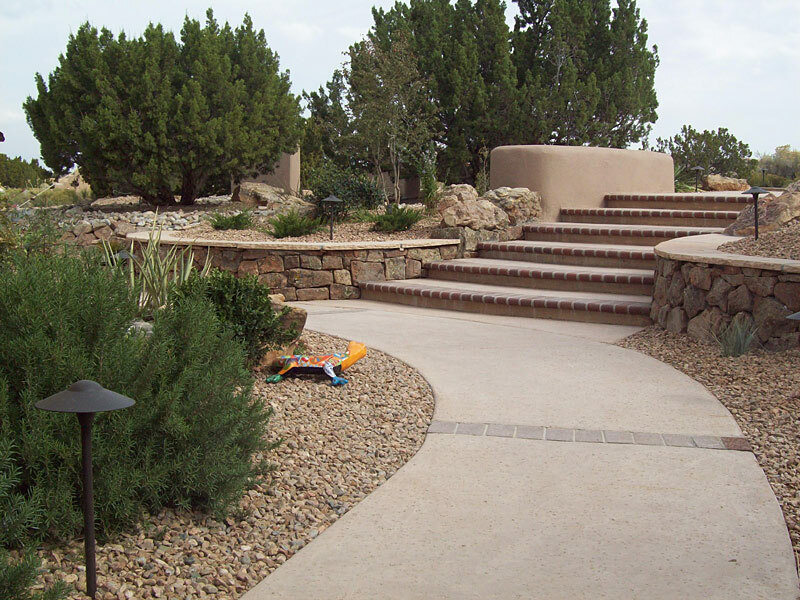 The new design was required to retain the slopes and create a sophisticated entry to the house. 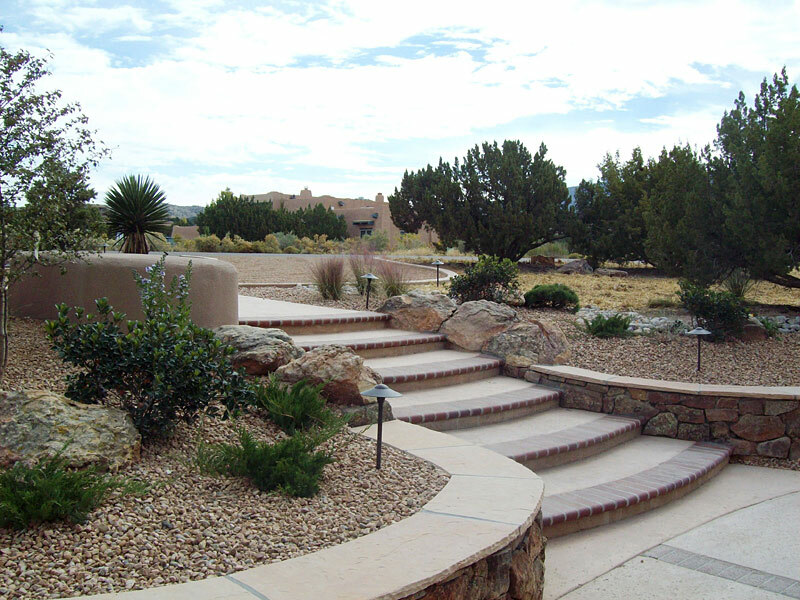 The the central element of the landscape is mossrock and flagstone retaining walls framing a new set of concrete steps with pool coping brick treads. 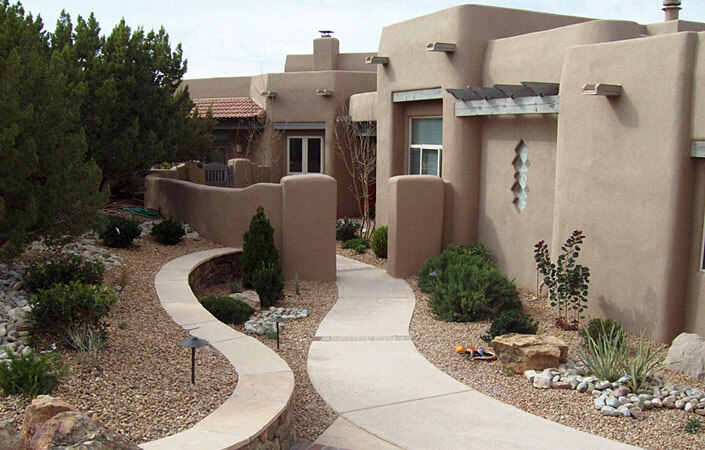 It leads seamlessly to the existing concrete walk. 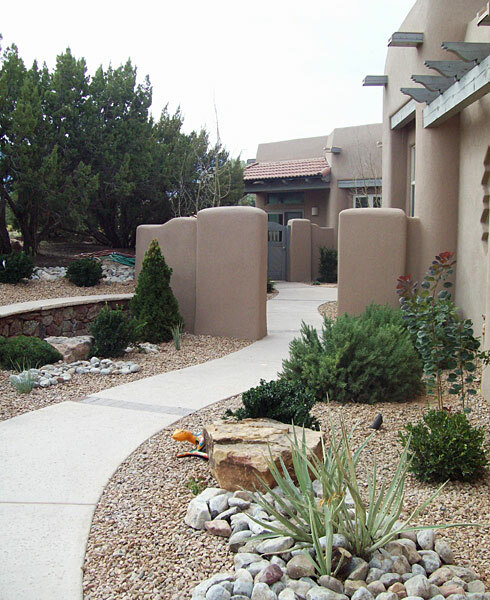 A larger courtyard was built for greater privacy from the road and new plantings open up the whole area for a cleaner appearance.